I have been having a bit of fun with French knitting. Here are my first pieces. Felted brooch given to me from a friend holds my cowl together and adds interest. I have used flower beads to help secure knitting tubes. I didn't take into consideration my cowl reducing in size as I sewed the tubes together. So if you are trying this method then add at least 2 inches (5 cm) when laying out. 19th May - I completed this item yesterday. Montana yarn. We have these French knitting makers in stock at Wellington Sewing Services. 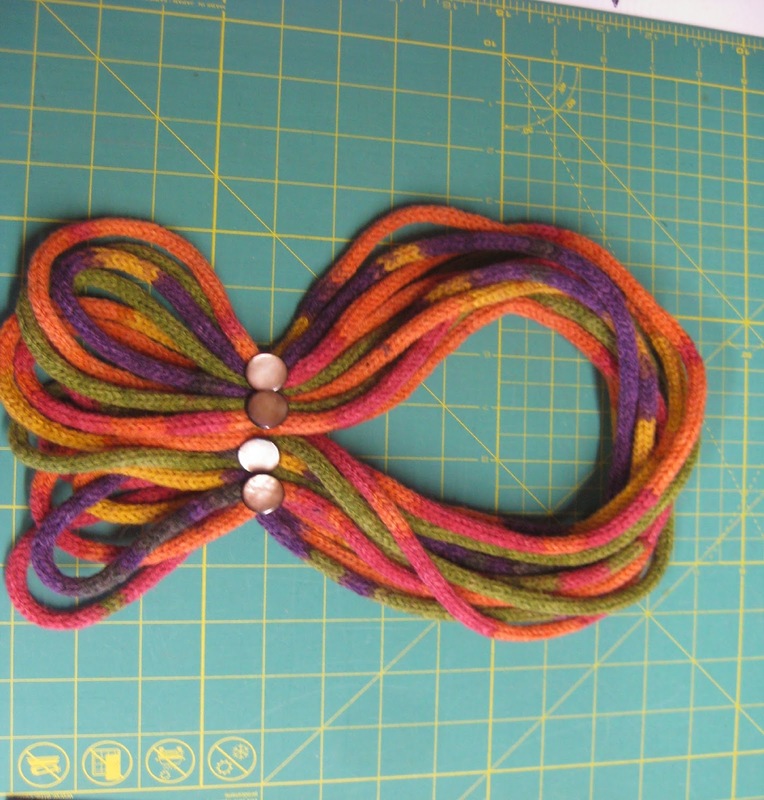 I have remodelled my French knitted necklace into the above style today just for a change. (16th August 2014). Sorry blog wont allow me to turn my photograph - but you get the idea. Happy mothers day fellow crafters.